GlassWorks has been serving customers throughout the Greater Chicago Metropolitan Area as the leading glass company since 1977. We are widely considered as one of the foremost experts in glass fabrication in the nation. Further, we are also recognized for our exquisite antique mirrors. Mirror antiquing involves a creative silvering process and each one of our antique mirrors is both distinctive and a “tour de force” in its own right. Well-known as the fastest growing glass company in the Midwest, GlassWorks is where regional customers shop when they are in the market for the most elegant antique wall mirrors or decorative mirrors for their homes. Regardless of the antique mirror glass they want, GlassWorks has the talent and expertise to turn your dream antique mirror into a reality! For close to four decades, we have been delivering award-winning services to our loyal decorative mirrors customers. On average, we serve right around 4,000 customers each year! Lately, numerous Highland Park residents have stopped in to GlassWorks in order to look over our great array of antique mirror glass. Highland Park, Illinois is in Lake County with nearly 30,000 residents. Glenview, the home to GlassWorks, is conveniently located slightly more than 12 miles directly south of Highland Park. Whenever Highland Park residents are in the market for the finest antique wall mirrors or decorative mirrors, they seek the professional advice of the experts at GlassWorks. Our sophisticated antique wall mirrors are guaranteed to bring a level of elegance to any Highland Park home. 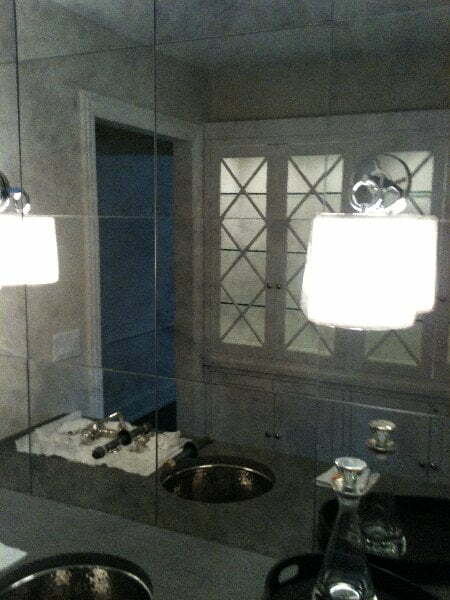 In addition, GlassWorks will customize an antique mirror exactly to the specifications of their Highland Park clients. Highland Park customers also are well aware that not only will our lovely decorative mirrors add more space to a room, but they will illuminate their rooms by reflecting light. GlassWorks is also regarded as the glass fabrication business that offers the most competitively priced mirrored glass products in the region. This is why so many residents persist in bringing all of their antique mirror and decorative mirrors request to our attention. No matter the antique mirror glass they want, customers understand that they can rely upon GlassWorks to process their order quickly and efficiently. Moreover, customers know that the GlassWorks installation technicians will treat your home with the same respect they treat their own homes. Also, they will make sure that your decorative mirrors are installed correctly. With their decades of experience, our installation experts will assist you with all facets of your antique mirror glass project. For the mirrored glass products that will enhance your home for years to come, call GlassWorks, today, at: (847) 729-5580 and ask us about your FREE ESTIMATE! We look forward to earning your business!